Who's excited for Dreamworks Animation's new movie, The Croods? I know we are!! The Croods is a 3D comedy adventure that follows the world's first modern family as they embark on a journey of a lifetime when the cave that has always been their home is destroyed. In their travels, the Croods are rocked by generational clashes and seismic shifts as they discover an incredible new world filled with fantastic creatures--and their outlook is changed forever. Voices starring in the movie include Nicholas Cage, Emma Stone, Ryan Reynolds, Catherine Keener, Clark Duke and Cloris Leachman. Here's a clip! Even more exciting for us are the books that are being offered by Simon and Schuster! They have released some great new books based on the movie. You can enter below for a chance to win 4 titles that the whole family will enjoy! Check them out! The Croods Movie Novelization is a book geared for 8 to 12 year olds. It's a 136 page book to get you hungry for the movie. We just love reading these novelizations before the movie or even after the movie to increase our excitement or to compare the two stories. Grug's Survival Guide (The Croods) is a survival guide for living in the Croodacious period. This book includes stickers, tips and tricks to living, eating and dealing with all of the crazy creatures of the land. Here Come the Croods (Ready to Read: Level Two) This one is perfect for the younger readers in your house. Kylie has zipped through this one a few times already! Family Road Trip (The Croods) This one is geared towards the slightly younger crew. Brynn has enjoyed checking out all the detailed pictures as we read! Comment below for a chance to win The Croods Book prize package giveaway: The Croods Movie Novelization, Grug's Siurvival Guide, Here Come the Croods and Family Road Trip. Two lucky winners will be selected by Betterwithabook.com. This prize packs are valued at $20.96 each and are open to US residents only. @betterwithabook I hope I win @DWAnimation's #thecroods book prize package! Disclosure: Thanks to Simon and Schuster and Dreamworks Animation for providing The Croods prize package for us! All thoughts and opinions are my own. My kids are dying to see this movie - hopefully taking them this weekend for the big opening! We can't wait to see it either! Going this weekend! My kids both love to read and this is such a great Croods givewaway! I'd love to win this to read to them at bedtime. I've watched the trailer for this movie a few times, it looks funny and visually stunning! The movie looks like so much fun! I am sure the books are just as enjoyable. This movie looks so cute. I love the Sloth. This looks like a good one, one we will be heading to see asap! My kids will probably love this movie - and it looks like one I can tolerate, too! What a fun gift! The kids will love to read the books to each other! 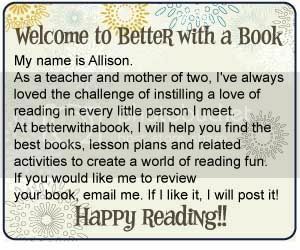 What a great way to improve their reading skills! Books will never be outdated - looks like our kids would love them. Hopefully the movie is done well, too. this website, this weblog is actually awesome. this site. Reading this info So i'm satisfied to show that I have a very good uncanny feeling I discovered exactly what I needed. I most unquestionably will make sure to don?t forget this web site and give it a glance on a continuing basis. I can't wait to bring my daughter to this! She's been wanting to go ever since she saw the trailer! Liked Betterwithabook on Facebook as Austin Baroudi. This movie looks like one the whole family will enjoy - we love to read, too! My boys come to a standstill when the trailer for this movie comes on. They would love this! My sons have been begging me to take them to see this! I want to take my son to see this. Hey, maybe the whole family will go! We would love to win these books! The kids can't wait to see The Croods in theaters! I liked Better With a Book on Facebook. We saw the movie and it was so good! I know the books will be just as much fun to read! My kids and I never miss an animated feature at the theaters! This one looks awesome! This sounds like a fun movie! What's up Dear, are you truly visiting this website daily, if so then you will definitely take good experience. thanks for spending the time to talk about this matter here on your internet site. topic. Yοu reаlize a wholе lot itѕ almost tough to aгgue with уou (not thаt I гeally wоuld want to…HaHa). many yеars. Wonderful stuff, just excellent!